The spirit of adventure isn't just alive. It’s built into every single component of the new XCX. Fully equipped for long adventures with technology that adds improved handling and opens up whole new horizons, this is the Tiger taken to a different level. 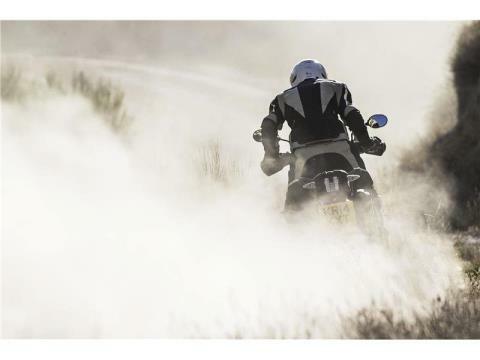 Selecting between three different Riding Modes, ROAD, OFF-ROAD and programmable RIDER MODE, you can configure your preferred throttle map, ABS and Triumph Traction Control, for a completely tailored and thrilling adventure ride. The dedicated Trip Computer and the Cruise Control enable you to amass miles with complete confidence. 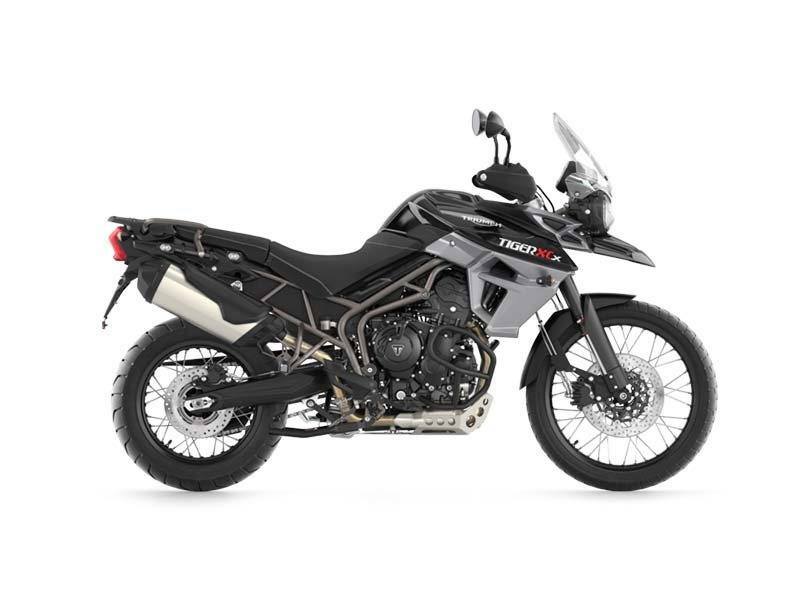 The off-road soul of the bike is emphasized by the adventure pack including hand guards, aluminium sump guard, centre stand, additional power socket and engine protection bars. 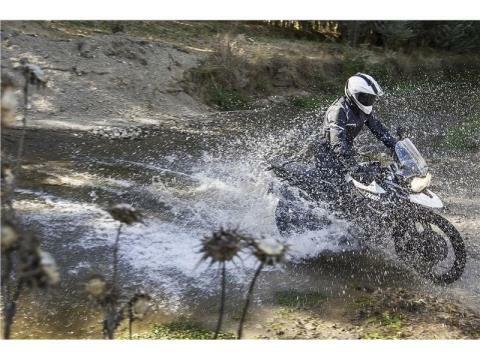 Suspension- WP suspension has been used to further boost the Off-Road riding qualities of the new XCx models. The WP 43mm USD fork, with rebound and compression damping is easily adjustable through dedicated clickers on the fork tops. The rear suspension unit is a WP mono shock adjustable for preload and rebound damping and has a dedicated dirt protector for the RSU body. 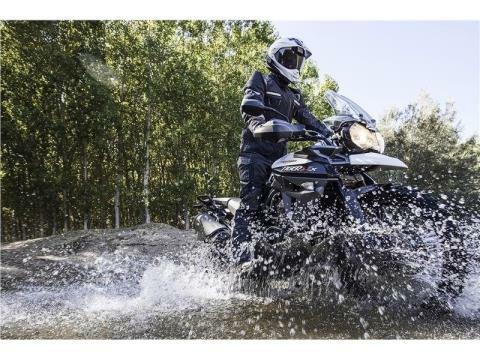 Handling- The handling balance of the Tiger is what really sets it apart with exceptional precision, agility, and control for the most spirited of ride be it on or off-road. Brakes- Latest generation switchable ABS comes as standard on the Tiger XCx, along with insulated Nissin front brake pads for improved braking performance. Wheels- The XCx models feature spoked wheels for superior durability on rough terrain: 17-inch diameter at the rear and off-road oriented 21-inch diameter at the front. 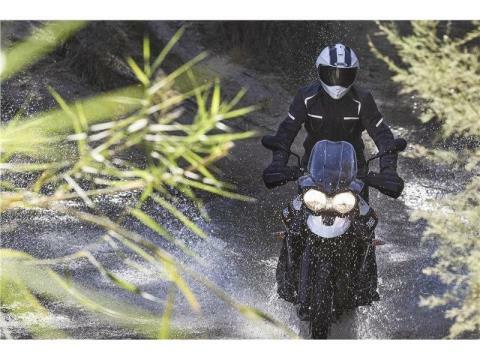 Triple Engine- The new Tiger features a liquid-cooled, 800cc in-line-three cylinder engine, delivering 95PS and 79Nm of torque for power across the entire rev range and the distinctive Triumph triple sound and character. 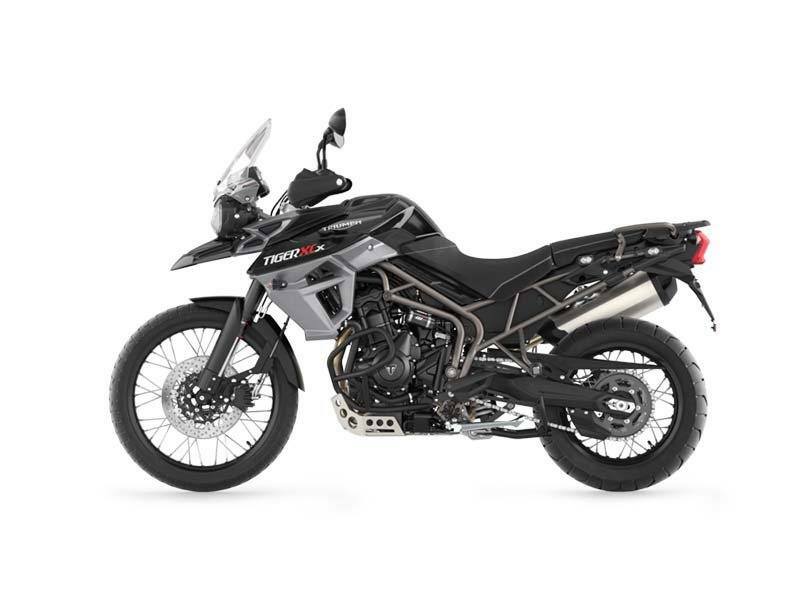 Fuel Efficiency- The Tiger XCx has a 17% improvement in fuel efficiency on the EU ‘mixed cycle’ which means that fuel economy improves from 55mpg to 65 mpg versus the outgoing Tiger giving a potential range of 272 miles. Gearbox- The gearbox has been updated with the selector mechanism derived directly from the class leading Daytona, for quicker smoother shifts. Sump Guard- XCx models feature an Aluminium Sump Guard. 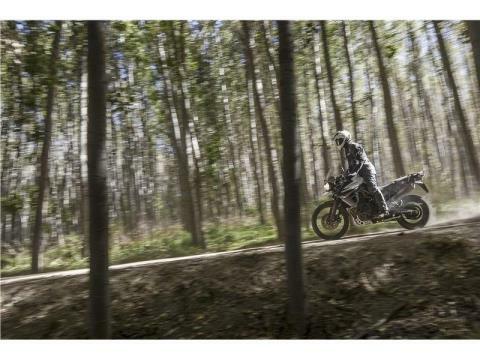 Radiator Guard- Likewise, a radiator guard is a feature of the XC for more protection when riding off-road. Hand Guards- Hand Guards are standard and provide protection for the rider's hands from wind chill and debris. Centre Stand- A centre stand if fitted to the XCx model for added convenience. Advanced ABS- The XCx adds a more advanced ABS system that can be changed between ROAD, OFF-ROAD, and OFF. When the Off-Road mode is selected, the ABS is disabled to the rear wheel and the system also allows a level of front wheel slip. 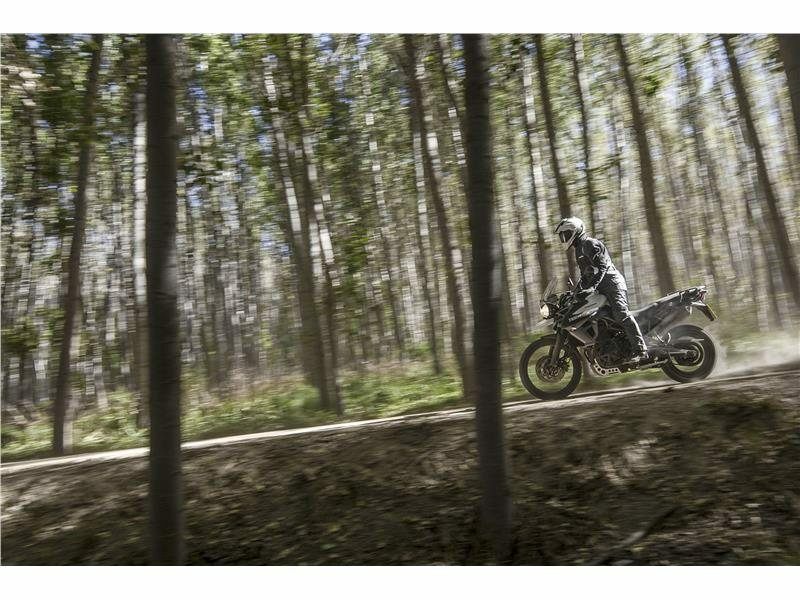 This provides the rider with a level of electronic intervention under braking whilst optimizing their off road enjoyment. Traction Control- The higher specification XCx has traction control that can be configured to Road, Off-Road, or Off settings. In the Off-Road mode, the traction control system allows increased rear wheel slip compared to the Road mode. Riders can configure their traction control preferences in conjunction with the 3 Rider Mode settings. Throttle Maps- With a choice of 4 different throttle maps, riders can select the optimum setting to meet both riding and weather conditions. The throttle maps can easily be changed between Rain, Road, Sport, or Off-Road via the switch cube to provide greater levels of control to meet changing conditions. 3 Riding Modes- On the XCx, riders can very simply configure the bike to the terrain with the choice of 3 Rider Modes. This automatically configures the ABS, Traction Control, and Throttle Maps to best tackle the route ahead. 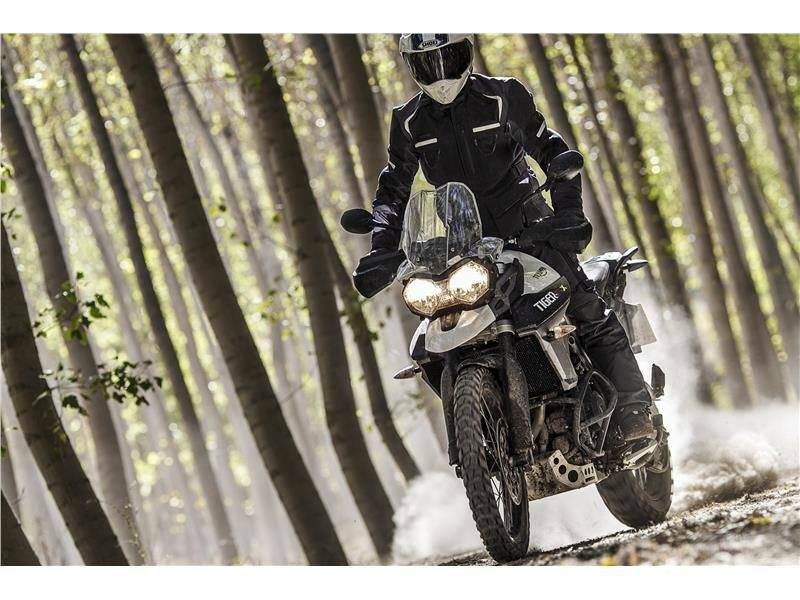 With a choice of ROAD, OFF-ROAD, or PROGRAMMABLE RIDER MODE, all of the electronic safety devices are optimized for the conditions. The PROGRAMMABLE RIDER MODE is fully configurable and allows the rider to select their chosen settings for ABS, Traction Control, and a choice of 4 x Throttle Maps independently. Cruise Control- The Tiger 800 XRx features Cruise Control as standard, making long journeys more comfortable and improving fuel efficiency. Advanced Trip Control- The XCx has an advanced trip computer which provides additional functionality such as journey time, average speed, average fuel economy, range to empty, and instantaneous fuel consumption. Aux Socket- The XCx features an additional Auxiliary power socket. Auto Cancel Indicators- The directional indicators feature an automatic cancel function.